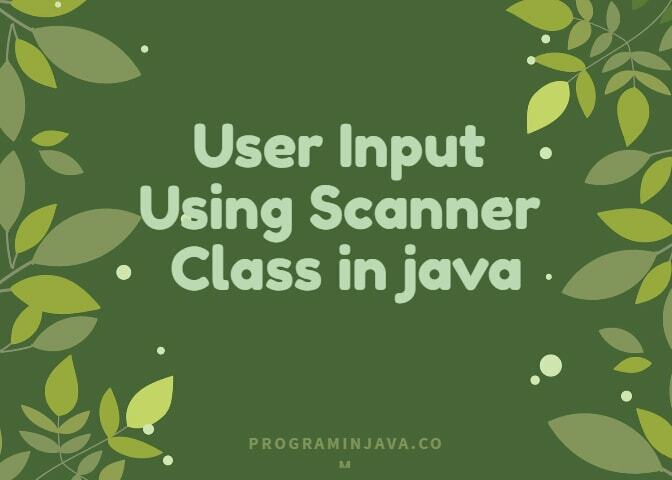 User Input is one of the basic fundamental requirement of the application , In the series of Tutorials we’ve been doing this for a while now, and I want to believe that anyone reading this is learning as much as he or she can, and putting that knowledge to some form of practice. I’ll do as much as I can to teach you what I know, and what I can gather, but it will be pointless doing this if nobody is learning anything. Always remember, practice makes perfect. And a little practice can teach you a lot more than any tutorial video can. Last week, we talked about data structures and different data types, and we talked about variables, and we did a lot of other cool things. But we’ve been dealing a lot with fixed variables, and you’re probably thinking “what if I want to enter any two numbers, like a normal application” or “how do I make it look like a normal app?”, and it’s true; it won’t be practical for someone who’s not a coder. You might want the user to enter his values, instead of inserting it into the code. Well, obviously Java has these things available; otherwise most apps and games are a product of witchcraft. In fact, due to Java’s vast library of codes, there are different classes you can call to enable user input. This is a very basic class that allows you to enter input into the console and store it into a set variable. It’s pretty similar to the ‘scanf’ function in C or the ‘cin’ function in C++ (if you’re completely new to code and don’t get these references, basically, it allows you to enter input). You can do the basic calculations with this class, and it makes it more interactive for those not familiar with code. Never mind the yellow line under it, it’s just saying that the class hasn’t been used yet. If you hold your pointer under it, it will say ‘unused import’. If you run it, it should run without errors. If the line itself disturbs you, don’t worry, we’re going to use it. …is the code to call the imported scanner class into our main method. You can see that we called it as a variable, but the data type there is known as a Scanner, not an int or String. It is given the name ‘user_input’, after which we put an equals sign and the keyword new. What that does is creating a new object from the Scanner class. In the bracket after ‘Scanner’, you see ‘System.in’; this is the opposite of ‘System.out’ and is basically java to enable input capabilities. These are the next lines of code we write. What this does is take in our input and save it into a variable (in this case, the String variable named “firstName”). The console will first print the message “Enter your first name:”, after which it will prompt you to enter said information. The string of text will be collected using a method from the scanner class called ‘next’. This is called by typing ‘.next()’ after the Scanner variable name, which you’re saving into the String. Now we’re just putting the two variables together using concatenation and saving it into a String variable called fullName. The double quotes represent a space in the middle of the two strings. After that, you put a statement to print out your input with the word “Hello” and an exclamation mark. This is the use of the Scanner class in a nutshell. If you like, you can try it out with your initials. Try making a scanner class that accepts characters and prints out your initials. In fact, after that, you can make a simple calculator that allows you to input integers or floats and adds, subtracts, multiplies, divides or performs other forms of arithmetic operations; like Simple Interest or Arithmetic Mean. Now you’ve learnt how to enter user input. Kind of cool, ain’t it? Well it may not be to some of you. Most people may not really like using the Scanner class, especially since the java console isn’t graphical. For example, when I started using the Scanner class, I was like “This is cool and all, but when do I get to the good stuff. Well, if you are interested in something more graphical, another class you could consider is the JOptionPane. This imports the JOptionPane class from the javax.swing library, the same way we imported the Scanner class from the java.util class. So before we run it, let’s do a quick breakdown on what it does exactly. The first few lines of code takes your message, prints it out as an input box (showInputDialog) and allows you to input the required information; saving it into the String variables ‘firstName’ and ‘lastName’. It then combines the two variables and saves them in a new String (fullName). After which a showMessageDialog method is called, which prints out our message in brackets on a message box. Note: The keyword null just means that the message box is not associated with anything else in the programme. Also, the last line (System.exit(0)) ensures that the program exits, clearing all created objects from the system’s memory. Click ‘Ok’ to end the program. And congratulations, you’ve run your first JOptionPane. Just like the Scanner class, you can also work with numbers in Option Panes. This would normally be the part where I tell you to try and find how it works, but numbers work differently here than in Scanners, and it would give me a chance to explain something important to you. Delete or comment out the lines of code you’ve already written. We’re going to create a simple calculator to add two numbers together. Add this as your first line of code. Run it and see what happens. Does it work? It most likely does. …and after that, you can try with other options. Remember, practice makes perfect. You remember 10% of what you read, and 90% of do yourself. If you like this article please share it with your friends and colleagues. Leave us a comment.